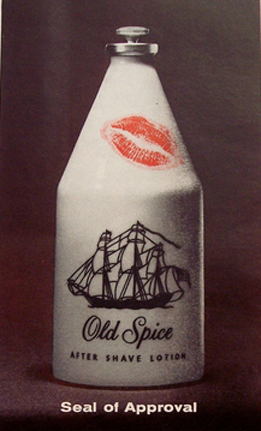 This entry was posted in Wordless Wednesdays and tagged men's cologne, Men's Fragrance, Old Spice, Vintage Fragrance Ads, Wordless Wednesday. Bookmark the permalink. one of 2 things I took as keepsakes when my Grandfather passed. The formula as well as the packaging have been compromised in the interim, but this makes me smile! Thanks for leaving this with me. It made my day.